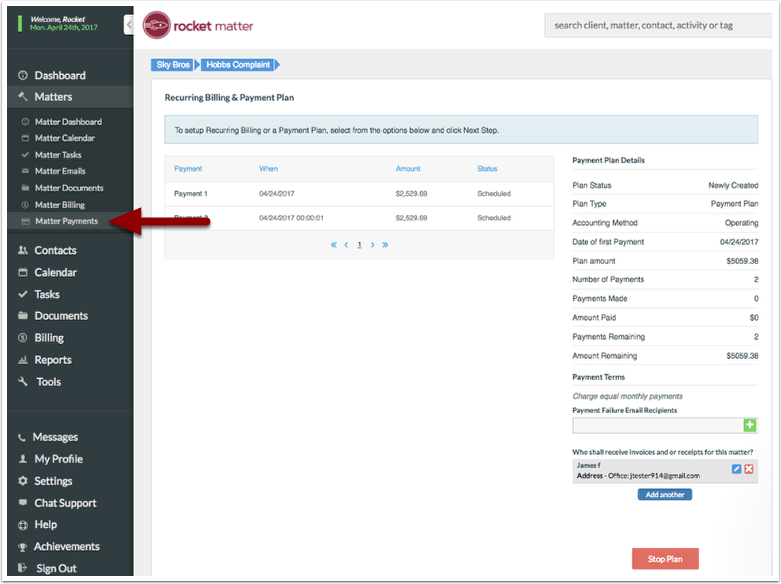 Rocket Matter Knowledge Base LexCharge Integration - Credit/Debit Card ProcessingHow to stop a payment plan or recurring billing plan. 1. Enter client name in the global search field at the top of the page and select the payment or recurring plan that you’d like to stop. 2. 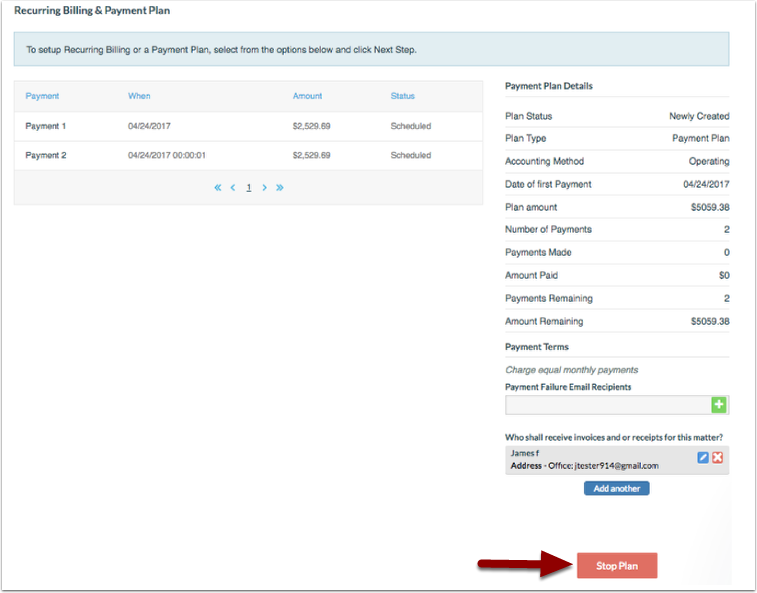 Click ‘matter payments’ in the left-hand panel. 5. To confirm, you will see the following screen to confirm that there is no recurring billing or payment plan attached to this matter. Prev: How to make a payment on behalf of a client for a specific matter to their operating account. Next: How to 'Edit payment processing fee default'.